My name is Justo Antonio Mercado Pérez and I am from Spain. I am currently living in Martos where I work for Andaltec, The Plastic Technology Center in Andalusia, as an R&D project manager since 2015. 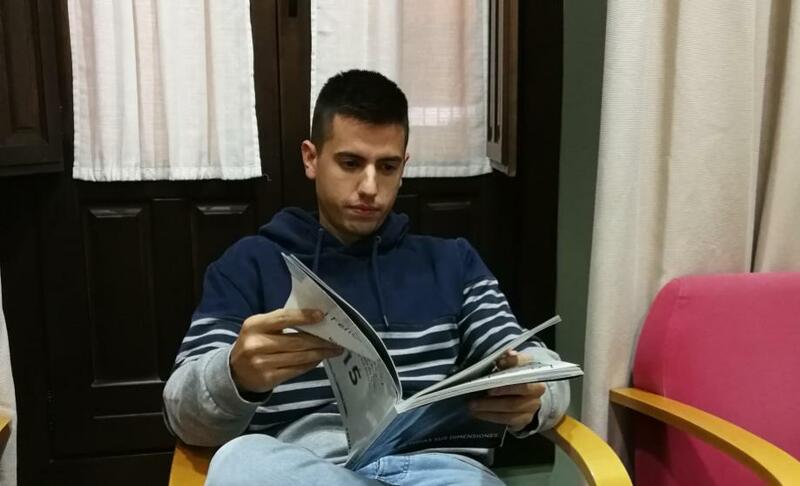 I am a Mechanical Engineer and I graduated in 2015 from the University of Jaén (UJA). I am currently studying a Master’s degree in Research in Industrial Technologies from the National University of Distance Education (UNED). From 2015 to 2016 I have been working as an R&D Project Manager at Andaltec’s R&D department, doing the design of plastic molds and scripts in Visual Basic to automate the mold design. Since 2016, I have been doing research at a national and international level. My main research activities are the development of new concepts on solar energy, manufacturing of new products made of plastic composites and design of molds printed in 3D among others. It was the first challenge that I did in Ennomotive. A similar experience was when a colleague and I were selected for the YUZZ program “young with ideas” where we had the opportunity to start our business project. I am open to any engineering challenge but I feel more attracted to those related to new technologies, simulation and design challenges due to my Mechanical Engineer Degree. I enjoy challenges in general, and the reason why I am an engineer is that I like solving problems by finding or improving solutions while adding value. I believe that it is a nice form to improve my knowledge, and these challenges are an opportunity to get known by new companies. All my professional experience as an engineer has been about solving challenges, but I have never had any experience in this kind of challenges. It is the first challenge that I have solved in this context. I am sure that I will repeat this experience. The solution may come up from the cooperation between my colleague and me. Actually, we discussed several solutions and not just one. We split the problem into different parts and then solved each part. This procedure was probably the reason for giving a simple solution. Our inspiration came mainly from the observation in other applications and the concepts we gathered in some modules of the university. How did you like this interview? Is there anything you would have done differently for this engineering challenge?